Elizabeth is the cofounder and chief operating officer for HIT Foundation, a blockchain-based marketplace for health data in Cryptovalley, Switzerland. She ventured into Healthtech two years ago in search of digital solutions that could address data siloes in healthcare when her mother almost lost her life to cancer due to the way data was shared. She has two decades of industry and management experience managing up to several million dollars in sales, business development and operations in the high-tech space, spanning from Startups to large MNCs leading cross-functional teams in US, APAC-Japan and EMEA. 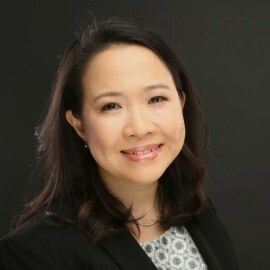 She speaks five languages, holds a BSc in Business Management from the Nanyang Business School, two executive education certifications from Wharton and INSEAD and is doing a parttime MSc in Health informatics with the University of Sheffield.